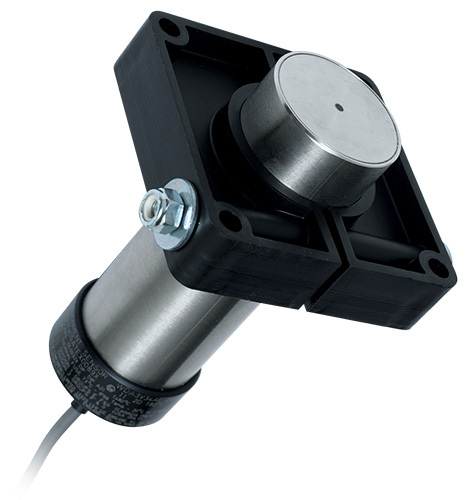 Non-contacting extended range magnetic proximity sensor, not affected by dust or material build up, used to detect moving ferrous material up to 100mm away from the sensor. 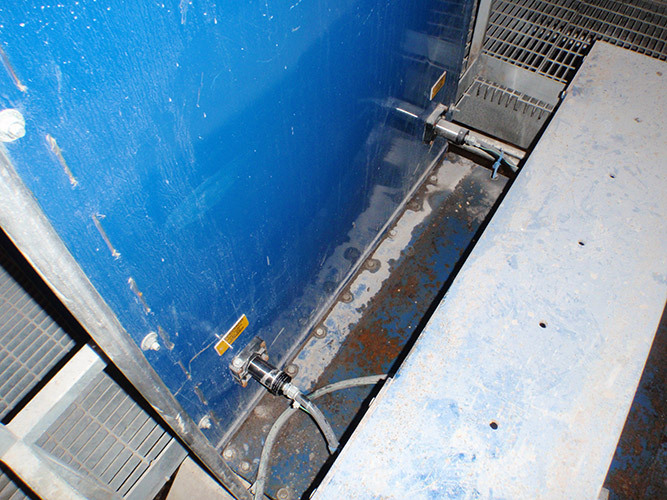 The WDA sensor can be used on bucket elevators to measure speed and alignment by sensing either the metal elevator buckets, or the ferrous bolts attached to plastic buckets. A more specialized use for the WDA switch is as a broken/slack chain detector on drag chain conveyors, or as a non-contact speed switch for screw conveyors. The sensor is used in conjunction with a PLC or with 4B's Watchdog™ Elite or A400 Elite control units. Two output signals are provided: one signal is a pulse output, representing each bucket detected: the second signal is a continuous output when moving buckets are detected. Note: The WDA is Available in Two Models (Standard & High Temp.). 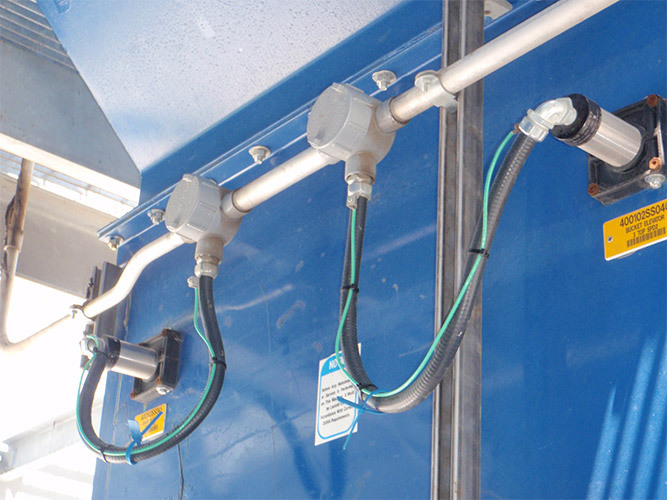 The WDAMB sensor mount (included with sensor) attaches to the WDA sensor and the housing of the machine. A bolt within the mount allows the sensor to be easily loosened and adjusted to the best sensing depth for the application. The WDA sensor will not calibrate, what is the issue? Make sure that the orange wire is connected correctly, this powers the potentiometer (calibration screw). Why will the LED on the back of the sensor not turn on? Check to see that there are no objects stuck to the face of the sensor (washer, bolts, etc.). Due to the magnetic pull on the face of the sensor, objects can stick and interfere with the sensor. What if the best sensing depth of the WDA sensor? 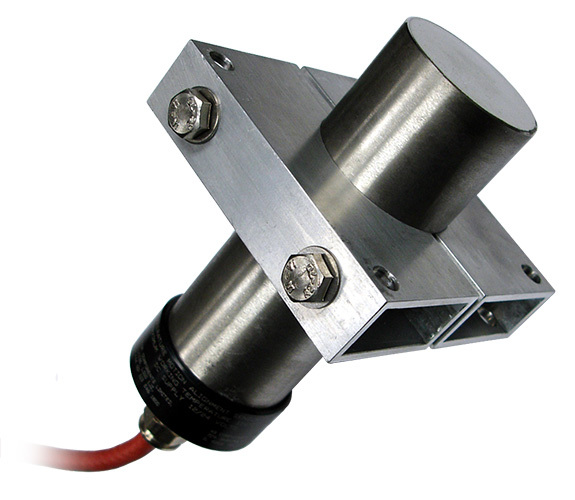 The WDA sensor can detect ferrous targets from 1 to 3 inches away. Keep in mind the distance of other objects within the sensing area. For example, a belt splice on a bucket elevator may be longer than the intended target and can interfere or hit the WDA sensor.